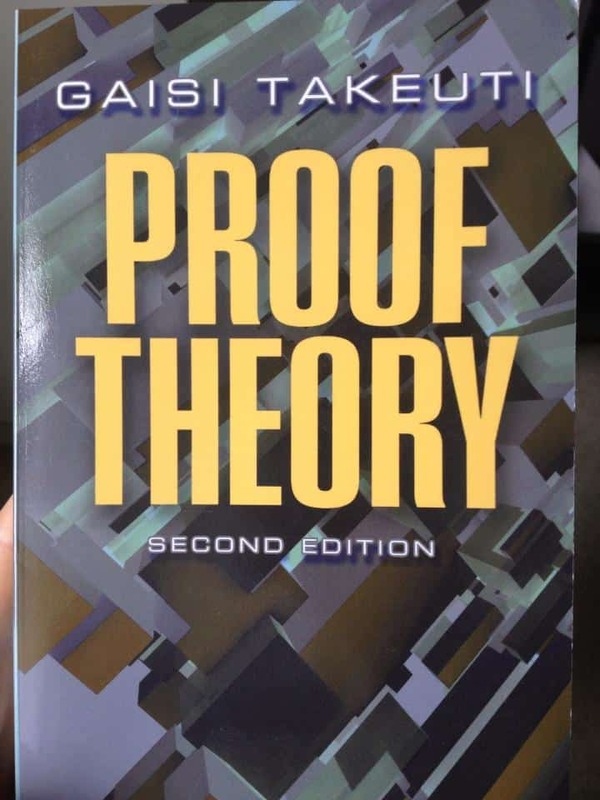 One of the best works on proof theory finally is back in print – Gaisi Takeuti‘s Proof Theory. Originally published as Volume 81 in the series Studies in Logic and the Foundations of Mathematics by North-Holland, this book has been out of print for many years, and the remaining few copies were disappearing at an incredible pace. Considering that a second hand hard cover edition of this book goes for around 260USD at Amazon, the need was great for a reprint. The new edition is now published by Dover Publications, and is an exact reprint of the second edition. As it was the book from which I learned proof theory, and together with Joseph R. Shoenfields Mathematical Logic the foundation of my logic education, I am happy to finally own my own copy of it. Now I only have to copy all the remarks and comments I scribbled into my paper copy into the new book.